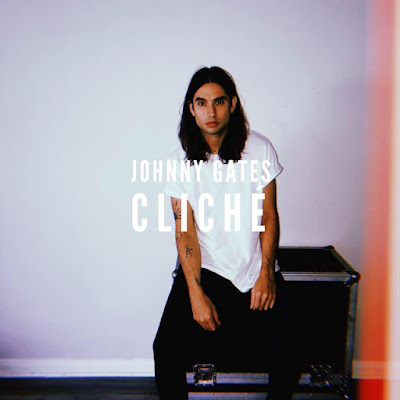 Home / brand new / brand new artist / Johnny Gates / música / Johnny Gates Unveils New Single "Cliché"
Johnny Gates Unveils New Single "Cliché"
LA-based singer-songwriter Johnny Gates has just unveiled his brand new single Cliché. I am a sucker for intimate songs like this one where his vocals take centre stage over the guitar melody. I am in love with his raspy vocals and the song is very vulnerable and intimate which I adore. As you journey through the track, the instrumental builds to a somber crescendo with flavours of folk music, with Johnny’s voice matching the increased energy by laying down his one-of-a-kind timbre. His voice emulates the emotional narrative spun by the personal lyrics, allowing for a relatable and introspective moment. Stream it below. cliché is a song I wrote at around 2 am, in my apartment, immediately after a weekend of hanging with an ex. the song was written in about an hour, and I recorded the vocal that night (sorry neighbors). it’s my favorite song to play live, and as a singer/songwriter, I really feel like it represents the true life, not always sunny, storytelling vibe I’m trying to represent as an artist. Falling for music as an adolescent, Johnny Gates started his first band at high school in Providence, RI. These formative years were well spent. Their determination took the band to Nashville, TN to chase the American dream, giving them the chance work with some of music’s biggest names. Johnny has toured US multiple times, including opening for the icon Rod Stewart. He has also become a fixture at Hollywood’s prestigious Hotel Cafe, and more recently performing at The Rockwood Music Hall in New York and The Peppermint Club in Los Angeles. He’s now focused on his forays as a solo artist with producer David Labrel (Ryan Adams, Lukas Graham), channeling his life experiences into his vulnerable and honest music.